The sun sets on the bay and Branko Petrovic stokes the charcoal. Tiny orange ambers sparkle upwards and Branko begins taking us into his parallel universe. Branko is, in every aspect, a super human. Passionate and full of energy, he lives in a different world to us and thanks to his sport can visit his universe at will – and not all sports can send us to a new world. 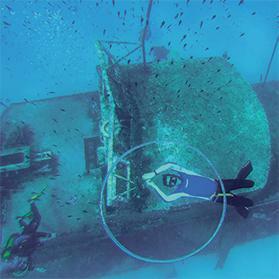 He has come to our island to teach with fellow free diver, Frenchman Matt Conan, owner of Ocean Freedivers, based in OK Diving Malta School, Sirens, St Paul’s Bay. 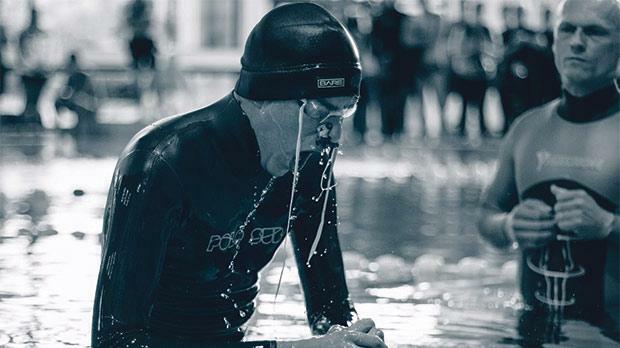 Among several titles, Petrovic holds the world record for Static Apnea – a vital discipline in his sport of free diving. His official time: 11 minutes 54 seconds, a time frame where most humans would blackout, or worse. For a person to hold breathe for so long does not only take passion and energy, but it takes scientific research and on extremely calm mind. Outside the zone, he is anything but calm. Full of stories, theories and explanations Branko was serving up dinner, a few fish he spearfished at 60 metres deep. Re- read that… 60 metres deep, one breathe, no scuba equipment. One man, one wet suit and one spearfishing gun. Four grilled tasty fish later conversation flows. But what drives a man to hold his breathe for so long? The Serbian champion jokingly calls himself a “lab rat”, as he explains “the scientific research behind the sport can contribute massively to the world of medicine, particularly when dealing with comas.” His team can carry out studies relating to blood sugar, insulin and oxygen levels and this can be vital for the world of science. In 11 minutes 54 seconds, a lot can happen. 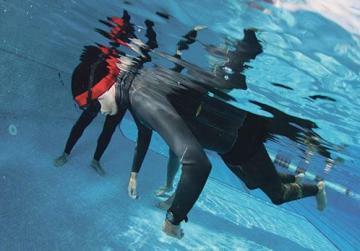 While some of us would prefer to brew and drink a cup of tea, Branko gets ready for a long session of static apnea. No cups of tea needed for his pre-relaxation, but the initial key is to slow down the heart rate as much as possible. You and I will have a heart rate of between 60 and 100 beats per minute on average, me slightly more after an evening with this immense athlete. In order to fully relax and reduce the speed of the blood flowing through his body Branko somehow manages to go down as low as 28 BPM – an alarming rate which would have many call for paramedics, if not a funeral home. In this state there is far less oxygen consumption and, despite a low heart rate, he does not black out – instead he is in the zone of total relaxation and only dreams. His dreams, he says, are “totally positive and feel like a parallel universe. Here I am in my own big world and it’s the best place on Earth to be – I call this the super relaxation phase.” Early on in his career, Branko admits: “I was panicking a lot and felt completely lost until I got used to the new feelings. But now my brain is my second home”. After this phase, Branko wakes up. His oxgyen levels are going down, while his CO2 levels in his blood are rising. Here, “it is important to keep stress levels low as this will keep my heart rate low. I try to think of happy thoughts and being a positive man. Thankfully, I have never run out of these – I imagine I am spearfishing, navigating through the deep blue see. I dream of fish and the water – the place I am at one with. This journey is a beautiful one and it needs to be as peaceful as possible at this stage”. At this point, most of us would have turned blue or, perhaps, blacked out a while ago, but Branko pushes through to the most challenging phase of the experience – the aptly named Struggle Phase, and the name is something of an understatement. With the spiking contractions, the brain will soon realise something is wrong and, to counter the negative feelings, it is clever enough to send pleasure hormones throughout the body, to prepare it for the final and most exciting phase – The Time Acceleration Phase. In this dangerous phase, safety is paramount and your body is releasing heaps of endorphins, the same hormones released after taking part in sport. The questions can be as simple as; “Branko do you know where we are?”; or “Do you know your name?” But, despite the ease of the questions, it is the response time that is critical. To me, it might feel like I am responding in a mini-second but, due to the Time Acceleration Phase my response on the outside seems long. And if it becomes too long for the coach, it is time to stop your amazing experience. A thrilling explanation from a world record holder whose passion for sport motivates him to teach others and take them into their own parallel universe. Besides his grandfather, who Branko admits inspired him, Branko also credits all those who want to push themselves and go to the next level in any sport. With this in mind, motivation is all around him. Judging by his energy levels and love for life, I know Branko is understanding life and, with him constantly pushing himself, it will not surprise me to see him beat his own world record in the near future. As we picked the tender meat off the fish, our chat opens my eyes to a whole new world. The ambers are slowly dying out and it is now my turn to exit Branko’s parallel universe. However, his infectious energy stays with me through the night and, together with Matt from Ocean Freedivers, I agree to start a free diving course of my own. Of course, as a professional scuba diver myself, I just can’t imagine going down there with no tanks or my high tech gear. But I look forward to taking you down diving with me, as I intend to document the emotions of my weekend under.